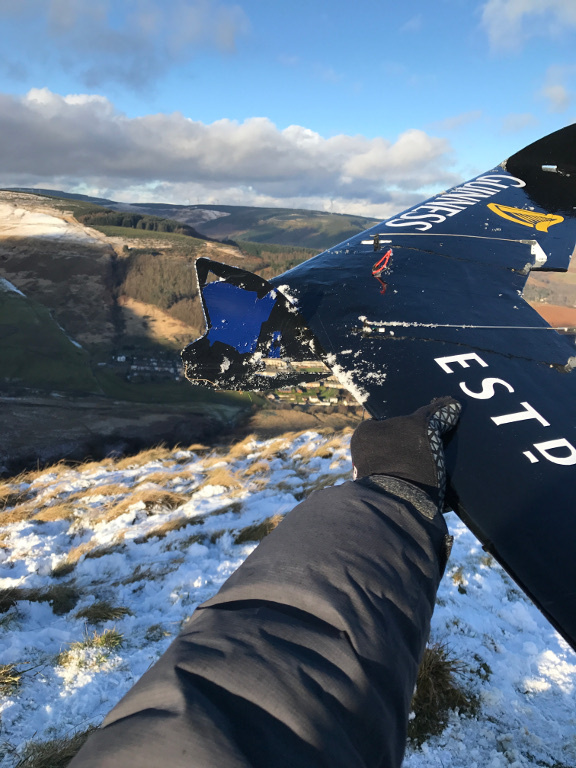 Dave Mordecai first contacted us at Zagi in search of distributors in the UK and has modified competitor wings to better fly the slopes in Wales. “I contacted Zagi USA because of the short fall in the market for a good product like the powered Zagi. Every model of this size now has an electric power system, and I’m not sure if that’s beneficial to our sport,” Dave said. Being more of a traditionalist, he and his friends have changed the competitor Zagi-style wings to carry an OS 15 engine. He says that he has reached altitudes of 7000 ft while at full throttle. Dave, who’s been flying RC aircraft since age 4, has flown most fixed combat wings. He’s competed at national and international competitions. He and his friends also are show pilots, participating in demonstrations flying new and upcoming models, he said. Additionally, he helps host an annual competition between Wales and Bwlch in South Wales. “We keep it simple and have a few rounds like limbo, balloon popping, tag, to keep it interesting,” he said. (Take) a big bread knife and cut off the front approximately 80mm back from the nose. Glue a bit of light ply (1/8” or 1/16”) after cutting it to the shape. Bolt motor and mount on to that then glue the front end back on obviously cutting out the bit for the motors. Take the Sullivan 2-oz slant tank and recess it behind the engine bulkhead. Cut out a square that will fit your Rx, flat Rx pack, and switch as far back as possible. Line he sides of the square with balsa and cover the bottom with thin ply (1/32”) and make a hatch for the top. Dave lamented that assembling and modifying RC aircraft may be a dying hobby for the younger generations and also a lost learning opportunity. He appreciates learning the related skills needed to build and fly a wing: mechanical engineering, aeronautical design, electronics, woodwork, engine mechanics, and learning to fly. We hope he buys the real thing soon! 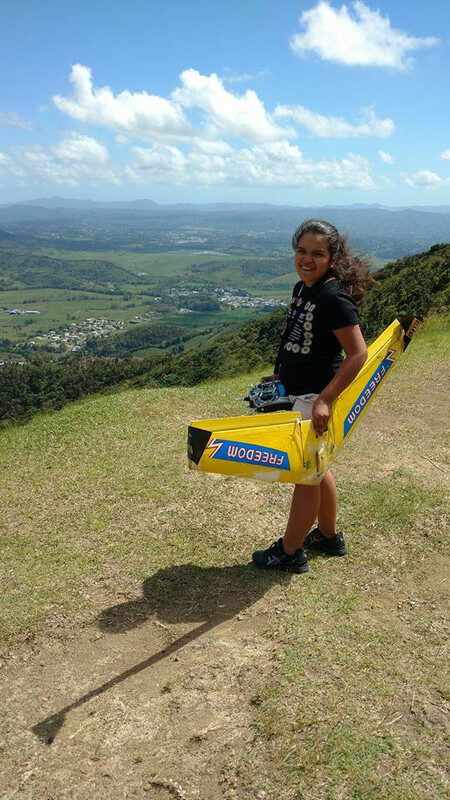 Luis Candelario, of Las Piedras, Puerto Rico, has shared his passion for building and flying RC planes with his daughter since she was a baby. Luis has been building and flying RC planes for 25 years and Zagis for 15. “She loves to hang out with me whenever I’m at the slopes, flying club, thing or in my build room…anything that has to do with cars or planes will catch her attention,” he said. Luis not only shares his hobby with his daughter. Building the planes is a form of therapy for Alanys, who has autism. Alanys has been at Luis’ side since she was little but was able to help more at around seven years old. He has a separate room dedicated in his home for building RC planes, and Alanys would watch him build. As his helper, she would pass him a tool or a part as he needed. As she grew older, she could help him screw in parts, such as the landing gear. Small tasks such as these help her develop her fine and gross motor skills, Luis explained. “Her interest in the hobby and in flying grew since she has always been with me building,” he said. 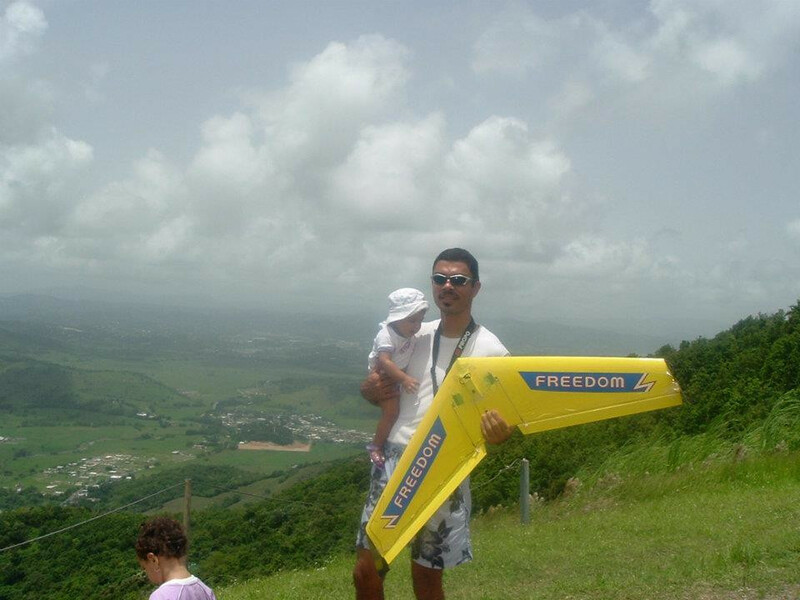 Luis flies his planes off the slopes of Cubuy located in El Yunque rainforest where many pilots fly hang and paragliders. “When there aren’t any clouds, you can see the islands of Vieques and Culebra,” he said. Like many in Puerto Rico, Hurricane Maria wiped out his water and power. He said water was restored within a month of the storm, but electricity took nearly six months. For that time, he relied on gas-powered generator, which over time is costly in addition to having to buy ice and water bottled. “But I thank God for my home and that everything is returning to normal,” he said. Alanys is now 13 years old. Although at the moment her motor skills keep her from flying solo, Luis figured out a way for her to fly, even if she’s not at the controls. “She cannot fly by herself yet because of her motor skills, but I have two transmitters that I connect in training mode, and we fly together,” he said. Mike Kelsey didn’t know he had a love for flying until 1972. That’s when he saw a photograph in a Popular Mechanics magazine. It sparked something inside of him that led him to pursue exploits from hang gliding to RC aircraft to his own handmade wing designs. “(I) saw a photo of the Rogallo wing above a small hill with a man hanging from it. 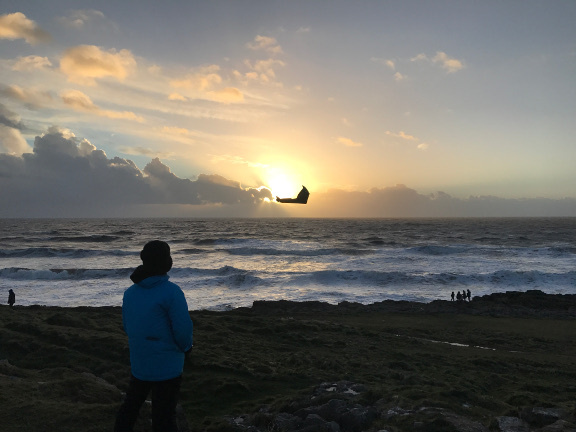 I had never had any interest in flying, but when I saw this image, and without even remotely understanding what was going on, I was smitten with the idea of becoming airborne,” he said. Mike bought a kit and assembled it in the living room of his mobile home. He was living in Southern California at the time, and it wasn’t hard to round up locals interested in learning and convince a company instructor to come up and visit. He was flying immediately. But Mike wanted to fully understand how the wings fly, so he began building models of the Rogallo design. “I was using wires and tools. It was time consuming, and they flew poorly. I needed an easier and cheaper way to duplicate the design of the Rogallo hang glider,” he said. He replaced the heavier building materials with paper. It was then that another venture started–that of the OmniWing–which is an enhanced paper model wing influenced by the Rogallo design. It is launched by hand and returns to its starting point. 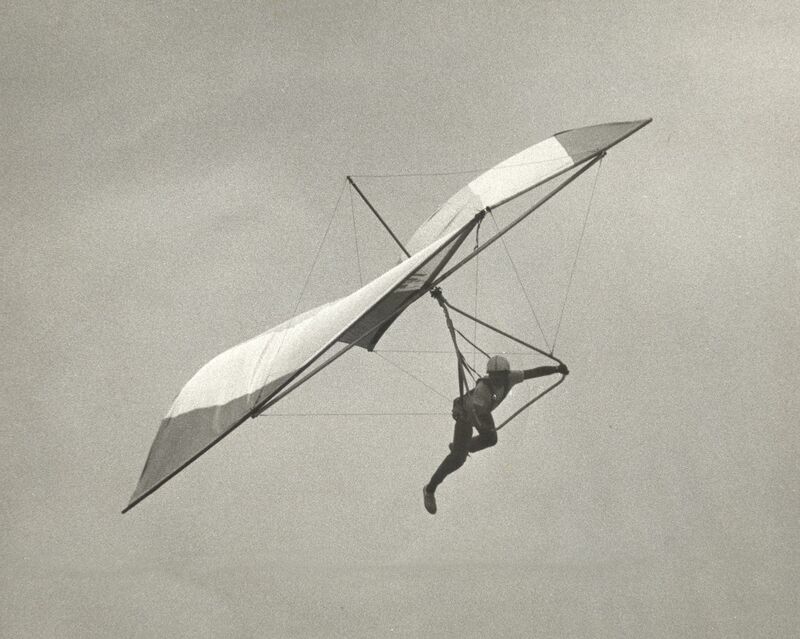 Then, although his wife was supportive of his hang gliding hobby, life happened. He and his wife started a family and he took a break for two decades in which he started a website design business and manages several apartments. Even though he had hung up his hang glider, his work on the OmniWing persisted. He began entering contests and blowing away the competition. “The first year, my wings took first in every category,” Mike said. To date, his YouTube channel, menamiketrx, has received 7 millions views (and counting) since he started posting his instructional videos in 2006. It was only natural that Mike also built balsa model airplanes and flew combat with a buddy. As expected, the planes ended in shambles, but the two repeated their friendly fighting until one day when he was getting a head start in testing the flight conditions, he heard a shotgun crack through the air and his plane plummeted. His friend had shot down his plane and taken the last word. Not long after, he met his first Zagi. Although he doesn’t remember exactly how he was introduced, it was meant to be. 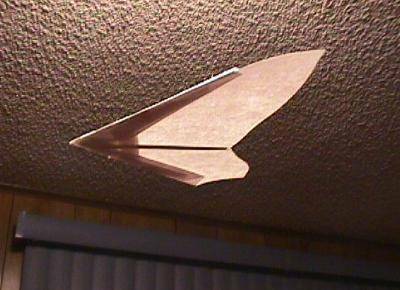 The design reminded him of the Rogallo wing and the plane could take a beating and keep flying. It was a good plane to teach his kids how to fly. Today, Mike lives in Arkansas at the base of the Ouachita Mountains, with a 100-mile stretch of perfect peaks from which to launch. 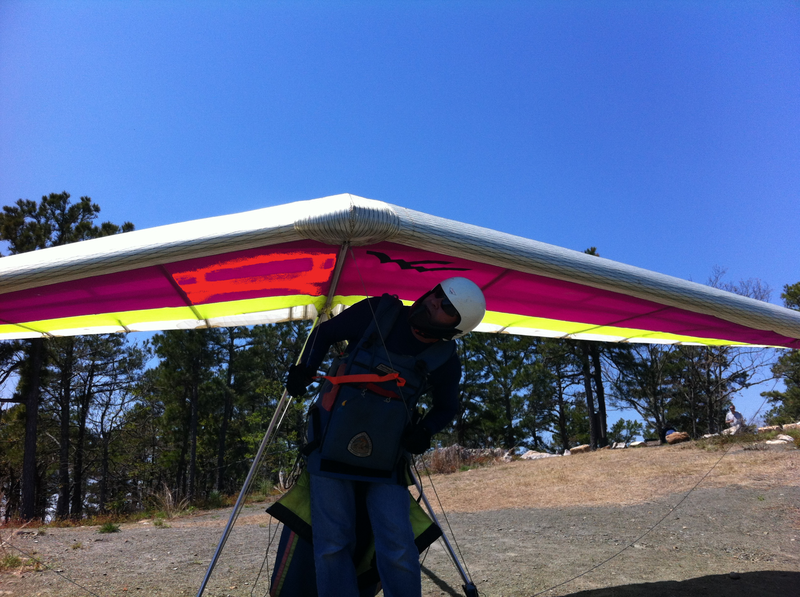 And, although he’s returned to hang gliding, he spends more days flying his Zagis and recently purchased a 5C glider. If you’re interested in trying to make your own OmniWing paper model, visit his website at www.omniwing.com or his YouTube channel at www.youtube.com/user/menamiketrx. 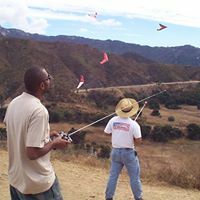 You can also visit his site on hang gliding and paragliding in the Ouachita Mountains of Arkansas and Oklahoma www.ouachitahanggliding.com. We attended the Academy of Model Aeronautics (AMA) Expo, visited NASA Ames, and Scaled Composites in California the second week of January. The trip was an adventure, to say the least, and we formed many new relationships. We met several Zagi flyers at the AMA and talked to several suppliers that we are now considering using. The AMA management caught wind of our presence, and we were invited to have a booth and participate in the fall show in Pomona, Calif. It will be November 2-4 at the Fairplex, and we’d like to see lots of you there! Currently, we are planning to participate in a combat wing competition and be a part of the wing racing. 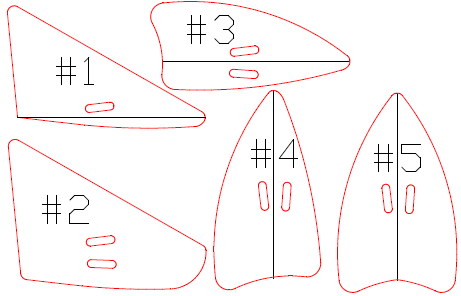 We have ordered several dozen Zagi 33 wing blanks and will make a FPVWRA-compliant (First Person View Wing Racing Association) kit available in the next few months. Please email if you are interested or have ideas, have used your 33 for racing, or FPV etc. We met NASA Chief Scientist Al Bowers at the AMA show and were invited to NASA Ames to see his fine collection of flying wings! Al knows his stuff and flies a THL usually via high start. The Prandtl wing has some excellent flight characteristics that a few of our models might benefit from. We’re working on such a redesign now and hope to let a few of you test fly them. An early prototype has already been flown and given away! 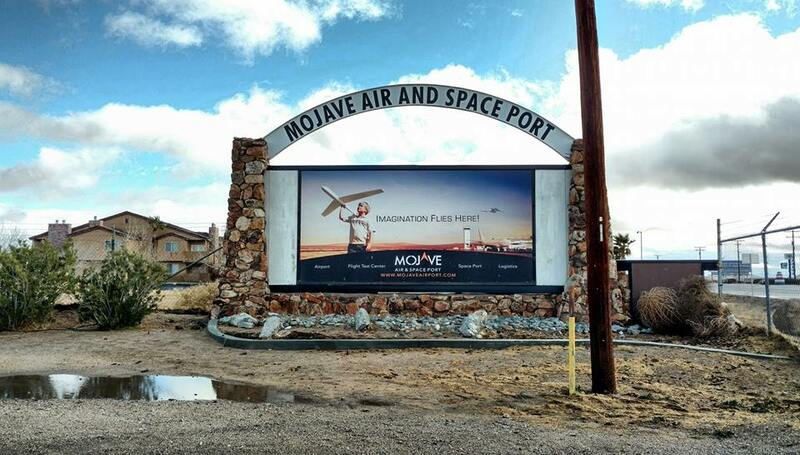 Visiting Scaled Composites was an experience like none other. If you’ve been following our posts, there’s a good group of Zagi flyers employed there. They get together and fly during lunch or on weekends. New employees and interns usually get a Zagi as part of their “initiation.” too. We talked to them during a Lunch and Share program about what makes Zagi tick. After lunch, we toured the facility, including the new Stratolaunch Systems aircraft among others. No pictures were allowed, sorry! If you are ever going past Tehachapi, look up Tehachapi Crosswinds RC club! We’ve been overwhelmed by requests to custom build Zagi’s! A few of those completed last month were old planes of Jerry’s that received a recover and new controls, several were new from scratch. We want to continue doing this for people, but please realize we are a very small company and also involved with other projects! We appreciate your patience! We can’t wait to show these projects to you. See you next month! Just in time for the new year, Peter Barrett posted a video on our Facebook page of his Zagi 400 launching with an E9-P rocket. 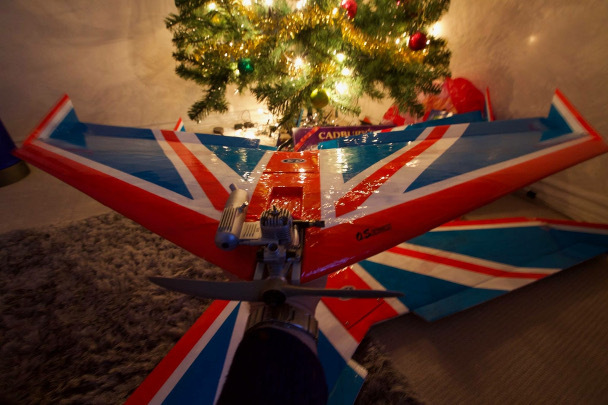 Peter, a retired financial officer in London, has been flying RC aircraft for more than 20 years. His interest in RC aircraft began as a child with TV shows such as “Airwolf” and “Blue Thunder.” The show, “Battlestar Galactica” and the movie, “Star Wars” sparked his interest in space and rockets as well. “I was always building models of planes and helicopters, and dreamed of becoming a pilot,” he said in an email to us at Zagi. As a child, asthma kept him grounded, but that didn’t stop him from learning and building RC aircraft. He first built airplanes and helicopters out of Legos before graduating to aircraft kits. He saved his money and built his first RC helicopter—a Concept 30 DX helicopter and has added to his “fleet” from there. He taught himself how to fly and combined flying with his interest in photography. He installed a 110 film camera on the helicopter skids and taking aerial photographs on his first kit. He purchased a starter set the following week. “From that first launch, I was hooked,” he said. Since then, he’s added smaller rockets to his RC helicopter and has even launched the rockets while airborne. Peter also is a member of HART (Hornchurch Airfield Rocket Team), which is a group that meets to launch rockets together. The group has since become an international one. They teach children about rockets and organize large model displays and workshops. “We have also done a number of TV shows, including a live launches on BBC1’s Red Nose Day, The Royal Christmas Lectures and Techno Games, and helped behind the scenes on several others,” he said. Peter is currently building a Level 3 High Power Rocket, which he says will be around 12 feet long when finished. Between his two passions, it seemed inevitable that they would cross over. When his electric motor died on his Zagi one day back in 2008, he saw an opportunity. “I realized the motor was the same diameter as a rocket engine. So, I stripped out the motor and ESC and fitted a rocket motor mount. After several tests, I found it flew great on E9-P motors and reaches around 400 feet with then around a minute of gliding. It has also flown on 2 and 3 stage motors to get to higher altitudes and launched on more powerful motors for faster take offs,” he said. He’s learned to launch the rocket Zagi at a low angle to gain air speed with those motors. On the video, “Zagi Onboard Flight 002,” he flew the wing after launching it with the rocket. The wing has reached between 60 and 70 mph on the D and E class motors and around 120 mph on an F class motor. “(That) ended quickly when I pulled up too hard whilst under full power from the rocket motor and the Zagi’s wings folded and snapped,” he said. You can see his footage here, here, and here, and see the FPV vantage from HD cameras he fitted on the wings. 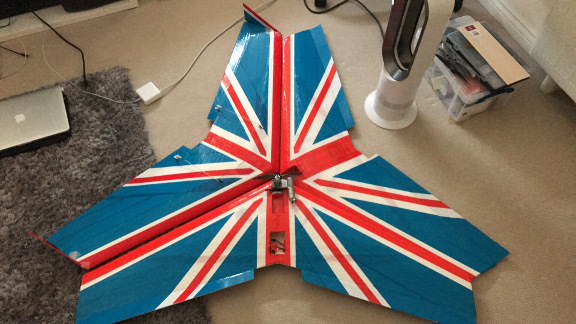 Peter has flown his Zagi wing at several model clubs and large model shows in London in addition to participating with HART. Currently, the rocket-powered Zagi was recently retired. We love hearing from Zagi fans. Many of you have so much experience to add to our wings. We appreciate the feedback and will share with the “tribe” as well as modify our designs as we can. 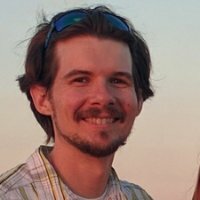 This month’s hack comes from Kevin Baker, from Nova Scotia. He flies his Zagi THL as a slope soarer. “ I use my Zagi as a slope soarer only, and it’s seen many hours of air time and multiple incidents with the face of the slope. It’s been a swim in the Atlantic once too,” he wrote to us in a recent email. Kevin didn’t like the winglet (or “tiplet”). He thought the design could use improvement in addition to using a better material to prevent breakage or the dreaded “Zagi spin of death” as he put it. He modified the design into five different shapes and cut them on a laser using PETG. When he tested them, he found that winglet #4 worked best for him and prevented the Zagi spin. His friends, however, preferred #5. He’s been gracious enough to share a template of his design for you to test as well. Let us know which one works for you! We’re going to do our own testing too. Thanks, Kevin! One of the highlights of this year was learning that owning is a rite of passage at Scaled Composites. New employees and interns are indoctrinated into Zagis and are flown by them in their down time. One of Eli’s creations is below. New Inventory Coming in 2018! Zagi inventory has been steadily disappearing as soon as we make it or order supplies. That’s a good problem to have. But, we also know that Zagi hasn’t had a new model or materials in some time, and we’ve been working to change that. We’re going to start offering carbon fiber elevons, winglets, and motor trays (with a base). We’ve also been working on some new designs with people we look up to in the industry. We’re excited to announce the coming of a 72-in and a 36-in wing. The 72-in Zagi wing will be based on an Unmanned Aerial (UAS) Platform and will have a 12-in center pod for controls and two 30-in wings. The 36-in wing will be a racing drone with an 8-in center pod and two 14-in wings. Both new Zagi wings will break down, so you can fit it into a backpack–ideal for hiking and easily assembling for a cliff launch. Right now, opinions are pushing us toward developing an aircraft that flies almost out of the box, so we’ll be taking assembly into deeper consideration. We know that some of you have strong opinions about tape vs. laminate as a wing coating, how thick they like their canopies, and which battery brands are best. If you have an opinion about this, let us know! We’ll also be offering to laminate these two wings. You can choose from a carbon fiber skin, a regular laminating film, or order them bare as with our other models. Eventually, we’ll offer laminate with all our models, but we wanted to do it to these new ones first. Surprisingly, we have received many requests to start making the 400x and 33 wings again! We have a call into our foam supplier to see if they still have the dies. If so, we may do some limited runs. We think the 33 would be a great FPV racer with some mods. See a video on it here. 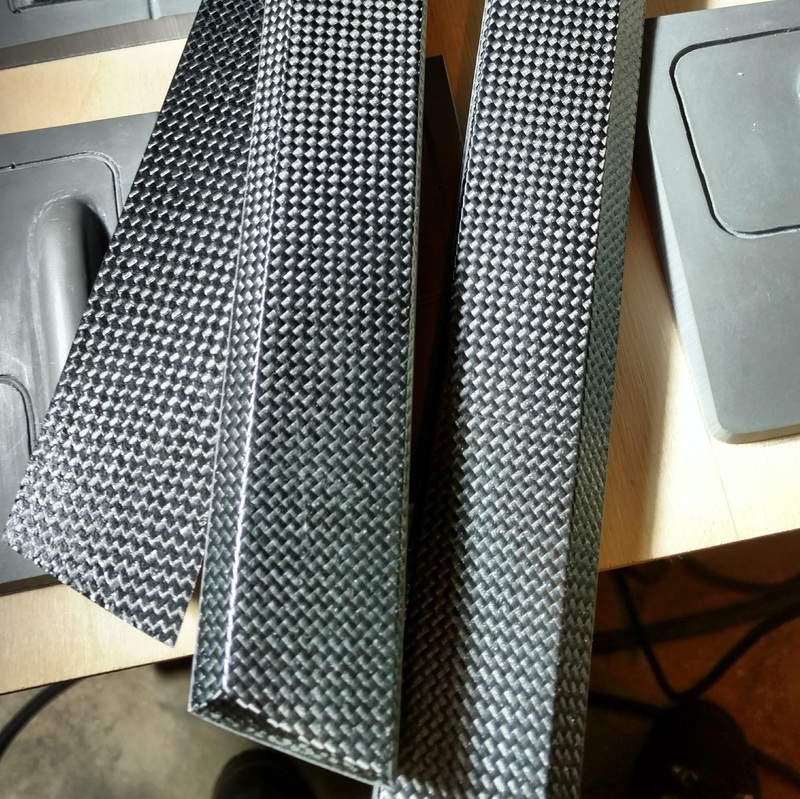 We found someone to make carbon fiber elevons for us, and we now carry them here. For the time being, we will only carry them for the HP and HP60 unless requested specially. Pricing on our Zijji motor mounts are half off. They are a great upgrade to your HP or HP60 and virtually eliminate motor mount breakage. We’ve added .060-in Styrene and Kydex to our canopy and motor mount offerings to our Kits and Building Materials. And, for those who like gyro stabilization, we’ve added HiTec’s HG3XA to our inventory. We’ve talked to their technical rep and have tried it out. Try one here. They appear to have gotten some bad reviews, but we couldn’t find any issues. We are now officially announcing our long held Secret Build Service as an option for new kits purchases. It takes longer and there’s a fee, but if you truly want a ready-to-fly Zagi, we can do that for you. There’s lots to look forward to in the new year! Check our blog or Facebook page @zagillc for updates! We’ve continued to do moderately well despite some customers thinking the business had been shut down. We ship daily and frequently complete custom orders for commercial and overseas customers. We want you to know that we’re committed to the Zagi enterprise and helping it continue as a social sport. The computer that had been used to cut the 5C and THL has died. (It was Windows 98!) We are in the process of setting up all of the cuts again on a newer machine and making some improvements along the way. Still hoping to have that resolved soon. In the meantime, we have been selling the remainder of the stock. We receive several emails a month about using our powered models as platforms for surveillance, FPV flying, etc., and are working with a well known aerodynamicist to not only solve some issues inherent to our current designs but also make them suitable for commercial use. The last bit of this will be improving manufacturing design and process on our side as well as making them easier for you to assemble! We plan on doing an email blast regularly to give you updates on our progress and tips and tricks too. If you have some Tech Tips, things you do to improve your Zagi, or make project aircraft fly better, let us know! Zagi flying wings have been a favorite for over two decades now. Since taking ownership of Zagi in 2016, we’ve loved hearing about your ventures. More recently, we’ve heard how some of you have altered your Zagi to fit a need or to enhance it. Here are a few “Zagi hacks” that we’ve learned about more recently. 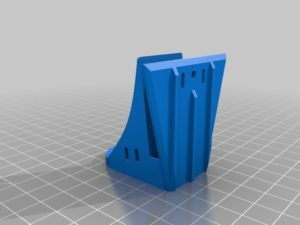 I first happened across Jeff Perrigo’s 3D-printed Zagi motor mount on Thingiverse when I was searching for Zagi parts, so I reached out to him. Jeff said that he bought his first Zagi at an RC swap meet two years ago. It’s a Zagi 400 that worked well until he unfortunately over-propped it and burnt out the motor. 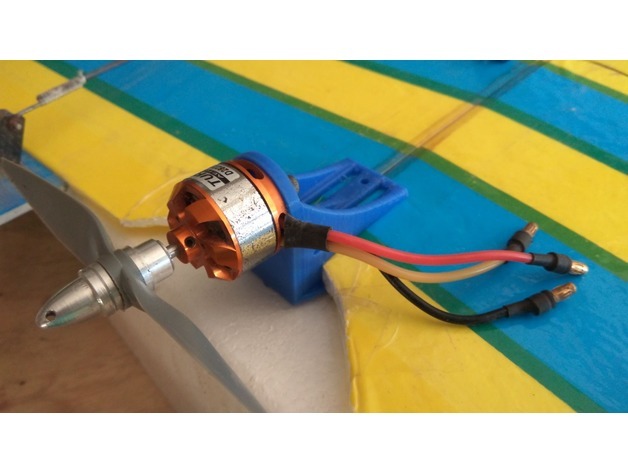 The wing uses an inrunner motor, but he decided to switch to an outrunner motor (which isn’t supplied), so he decided to design and print his own 3D-printed motor mount to outfit a 7-inch prop. “This required that I cut the elevons back to make some room. Next, I designed a mount to hold an HD camera (Xiaomi Yi) and a smaller camera for flying FPV (first-person view). I cut out an area on the nose to install the camera mount. 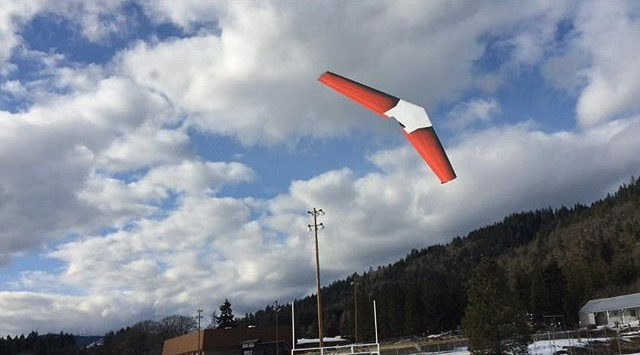 I flew it this way for a while, but after a hard crash into a tree I broke the wing almost in half, from front to back,” he said. While he was repairing, he decided to embed the battery in the wing and laser cut his own battery tray from a piece of plywood. He cut out the foam and mounted the battery tray horizontally behind the camera mount. He also added several carbon fiber spars for support and strength. In flying it, he realized he needed to add some carbon spars for strength in the front for the nose to keep the camera steady. 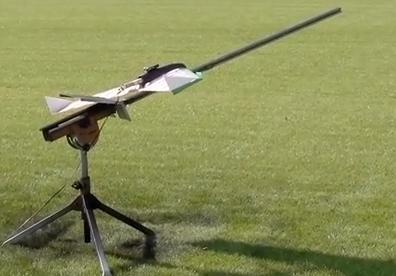 He’s also considering making it a long range wing for mountain flying. This Zagi hack comes from Gordon Arrendale also from Washington via California. Like all Zagi flyers, Gordon has an interesting background. He spent six years building custom surfboards in San Diego before moving to Washington in April of 2016. 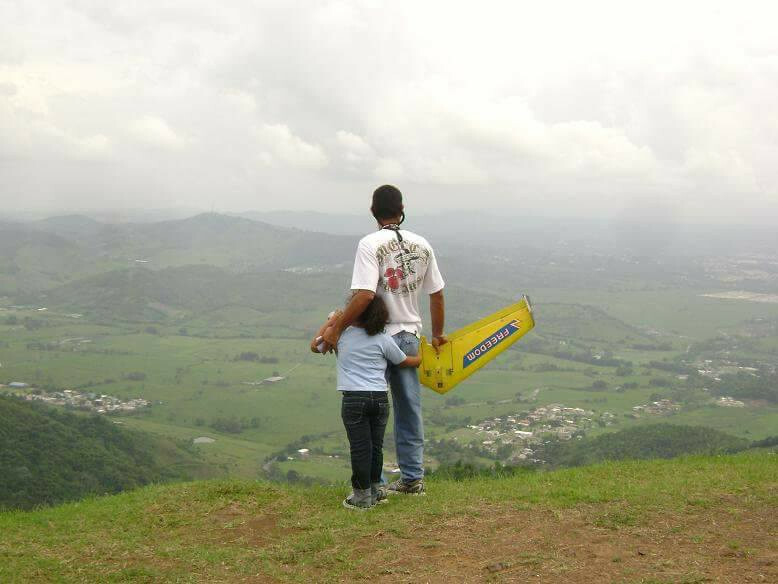 When he was introduced to RC wings, he was immediately interested in it and of course, giving his wing his own custom touch. “I moved to Washington to get back in touch with my outdoorsman side. Looking for surfboard work in rural Washington is pretty hard, so I found some work locally with a UAV (unmanned aerial vehicle) company building carbon fiber parts,” Gordon said. 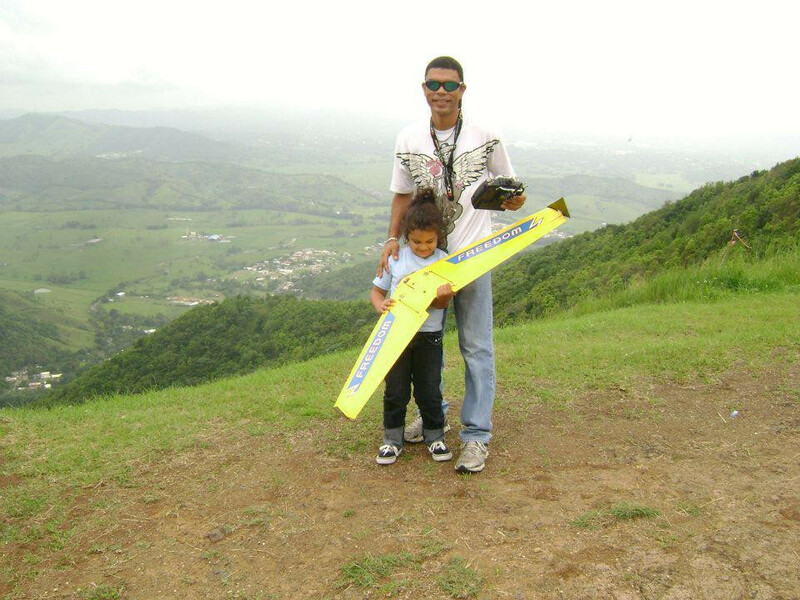 He learned the basics of UAV construction and wanted to learn more about the systems. “I was directed to check out the FPV options of RC airplanes by a coworker. He has been flying his own handmade FPV planes and showed me a few videos. I was hooked after seeing a few low flying videos, he said. With that, he began learning the basics of flying with a Zagi HP from his coworker. “He told me that it’s a great plane and will survive almost any beginners learning curve. Luckily, I listened to him and purchased it and have been satisfied with the quality and performance of the Zagi,” he said. He purchased the wing in the winter and took his time building and customizing it. First, he applied a matte white vinyl over the top and bottom so he could airbrush a custom look instead of using the vinyl tape we supply. “It added a bit of unnecessary weight but with the high powered motor of the HP, it wasn’t an issue to worry about,” he said. He also created stronger winglets by wrapping an 1/8″ balsa core in carbon fiber and trimmed them to match shape of the plastic winglets. “To match the carbon winglets, I painted the center hatch of the battery bay flat black. I later made a custom fiberglass camera fairing to sit on top of the battery bay that would hold the camera and transmitter/antenna to make the zagi hp convert easily from FPV or normal RC flying mode,” he said. He first flew it last spring. Originally from Cache Valley, Utah (Logan and Providence), co-owner Josh grew up with a love of aircraft. “I really loved planes as a kid – my dad would build balsa gliders and powered planes. We always had rubber band and balsa planes of one kind or another,” he said. His father worked as a NASA contractor on shuttle instrumentation, and his mother at one point worked for Daedalus, which made UAVs. She would often bring home foam wing cores that had been scrapped at the plant and give them to him and his brothers to build their own planes. “My brothers and I would tape them together and fly them in the yard, of course, failing miserably, but it was fun to try flying!” he said. What he liked most about model airplanes was imagining himself flying in them. It was at an military airshow that the then 9-year-old Josh attended that made him want to stop imagining and become a pilot. In the same day, he flew in a helicopter and a Cessna plane where was able to sit in the co-pilot’s seat and use the controls. There were also WWII planes dropping flour bombs on targets. “That day just blew my mind,” he said. Later, in school he took an ASVAB test, a military aptitude test that measures academic and occupational placement preference in the military. The test results showed he would be a good helicopter pilot, but a recruiter said that at 6 feet 4 inches, he was too tall for the career. “So I just put it out of my head and moved on to other things.” Those other things were making and designing everything from homes to mechanical parts. He again pursued a career in aviation but this time as a facilities manager. Josh worked at Piasecki Aircraft Corporation for four years in Essington, Pennsylvania just outside of Philadelphia, where he wore a variety of hats as a facilities manager there, including machinist. During his time there, he worked on the Turais and Air Scout and did some machining and engine work. After leaving, he continued to work as a contractor and made foam helicopter duct cores for them. “It was my first major project in foam and got me really into working with the material,” he said. Three years ago, he and his family moved to Spirit Lake, Idaho, just north of Coeur d’Alene, in the hopes of raising “free range kids” and pursuing goals less feasible in the big city of Philadelphia. He is currently self employed as a machinist doing custom work on a large cnc router and hotwire cutter. His experience segues perfectly with manufacturing Zagi wings. “In the machining world, everyone is focused on subtractive processes with metal … but no one really is doing precise hot wire or foam machining, especially four-axis. That’s my niche, and it’s lent itself well to Zagi,” Josh said. He is currently building a 4 axis wire saw so he can cut materials that don’t melt. In April of 2016, his cousin, Jacob Marble, told him about the opportunity to acquire Zagi, and it took little convincing. “I thought it was a really cool idea, but something that could be improved on and where I could apply my manufacturing skills,” he said. 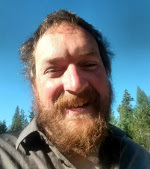 He was also attracted to the Zagi community and wants to enforce the spirit of group competition to where he lives in North Idaho. 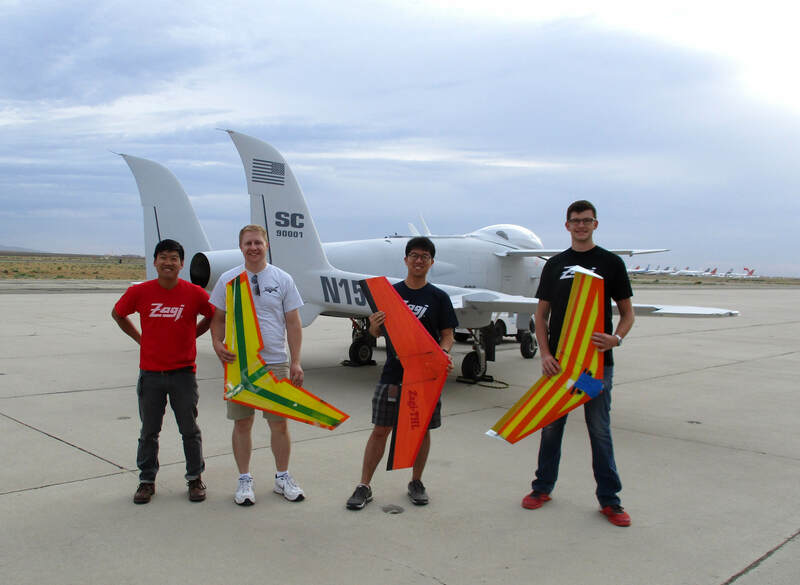 As for the future of Zagi, Josh would like to reduce the number of processes in assembling the kits, change the coating and make an Almost Ready to Fly (ARF) and Ready to Fly (RTF) model.